Bon Ami Restaurant, Surabaya, Indonesia - my name is Food. Bon Ami is one of your old traditional restaurant that sells Indonesian food, though, they do have Bon Cafe which offers steak and other various western dishes.. Wanting a simple but quick lunch, we decided to go to Bon Ami for lunch to get out of the heat for one but also just have a simple but yummy lunch over some cold drinks..
'Mie Goreng Jawa' is Javanese Fried Noodles and no, it isn't your instant noodles Mie Goreng that you find in Supermarkets. 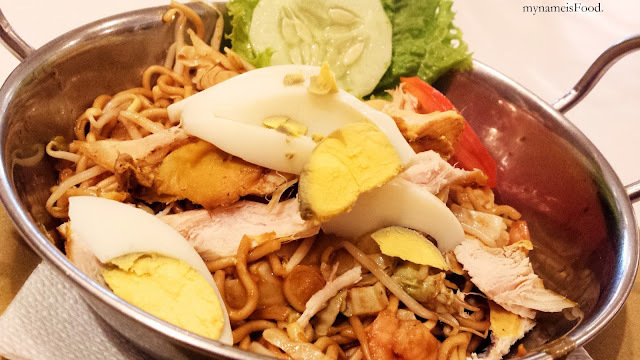 You can call this as the real thing actually, it consists of thick egg noodles stir fried with chicken and assorted vegetables topped with boiled egg and chilli. Usually, you are able to find this dish anywhere, in any mall, in any Indonesian restaurant and even at the side of the street where the food stalls may be walking around. Each has their own touch to the dish but the basic of using Kecap Manis (Soy Sauce) will always be there which makes this dish yummy. However, I was quite dissapointed with the dish at Bon Ami as I felt that the taste and the sauce was not strong enough to leave a nice smell and after taste when eating the dish. The fried noodles were fried well along with the chicken and vegetables, however I just felt that it was bland and tasteless unfortunately. 'Nasi Pincuk' is similar to Nasi Campur aka. Mixed Rice. 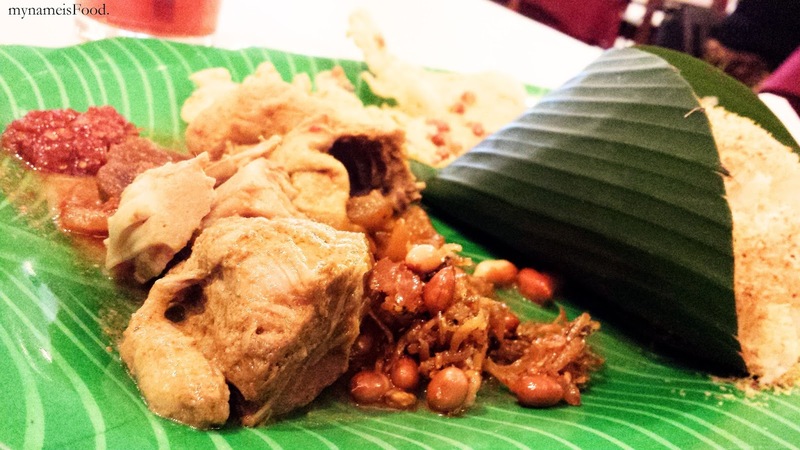 It consists of fried Tempe, roasted peanuts and salty fish, sambal prawns, chicken curry and so on. Generally, these type of rice dishes allow you to have a taste of a bit of everything. 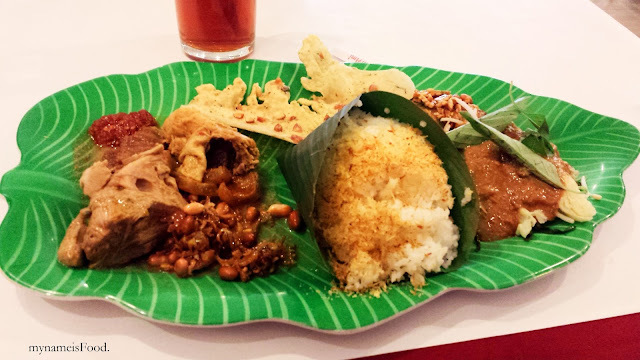 Having the rice there is basically to accompany all the different condiments and also main dishes and it also allows you to balance out the strong taste and various spices each of them may have. Although Bon Ami may not be the best traditional Indonesian restaurant, but their dishes are nice, they are simple and having a wide range of dishes to try, you sure will find something you will like here. I don't really recommend their bakery though as I feel that their breads tend to be drier and harder than other bakeries available.